The Sarasota County Sheriff’s Office, in partnership with the Florida Department of Highway Safety and Motor Vehicles (FLHSMV), brought the Florida Licensing On Wheels (FLOW) mobile to the Sarasota County Jail on March 14 to provide inmates identification cards, the Sheriff’s Office has announced. The FLOW mobile is one of 14 units operating throughout the state that offer services to residents, enabling them to renew, replace and change information on drivers’ licenses, a news release explains. The staff of the mobile also can issue identification cards and help the public renew vehicle registrations, the release adds. Sheriff’s Office Corrections Division personnel worked with FLHSMV to arrange the visit to the Sarasota County Jail, the release adds. 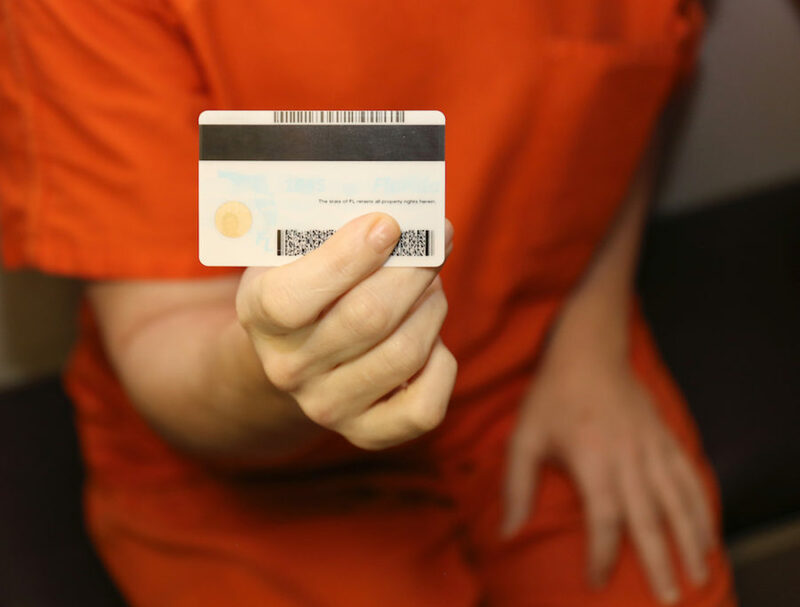 Over the course of approximately two hours, 20 inmates received ID cards, “with the goal of helping them achieve success after incarceration,” the release points out. All 20 inmates who received new ID cards were housed in addiction recovery and mental health-focused pods inside the jail, the release explains. They were selected on the basis of recommendations from case managers. “Corrections personnel plans to invite the FLOW mobile back to the facility to provide ID cards for future inmates, a service that comes at no cost to Sarasota County taxpayers,” the release says.